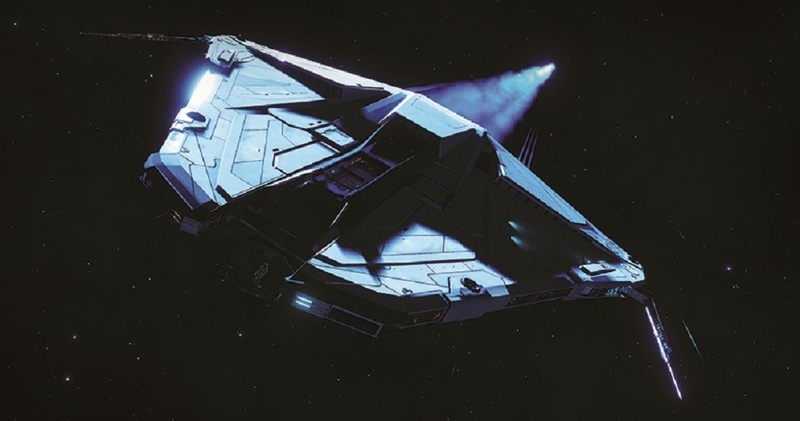 Frontier Developments has released a slew of details pertaining to the next update to their intergalactic sim, Elite Dangerous. Expected to release on April 23, this new update brings all sorts of new content to the ever-growing space adventure, so let's dive right in. First up is the all-new Beginner's Zone, which will offer brand new Commanders a selection of simpler missions, designed to help budding explorers earn their wings and understand Elite Dangerous' features, controls, and mechanics. Speaking of ease, a new Advanced Docking Computer will be added to all newly-purchased ships going forward, making landing and takeoff a breeze for those with a less than steady control hand. The new Pilot's Handbook will be an index of the universe, of sorts, allowing traders and sky pirates to check out information on opportunities and quests in the area, which can be directly linked to your ship's cockpit. Speaking of ships, module options are being increased, with all ships new and old to be fitted with extra Optional Internal slots. The Community Events are being replaced by an all-new feature: Interstellar Initiatives. These will be month-long missions, built up of several phrases, that hint at having possible long-term repercussions on the galaxy. Expect more info on these soon. As well as all of the above, there will be changes to certain menus, tabs, and HUDs, tips added to the loading screens, along with the latest glut of bug fixes. It's a pretty meaty update. You can check out the full patch notes over at the official Elite Dangerous blog. Elite Dangerous is available now on PS4, PC and Xbox One.